Innovative applications based on proprietary research and development encompassing state-of-the-art technologies. PolyGenesis is an open source platform for Cross-language Automatic Programming, allowing developers to focus on solving the Domain Problem. Polyfono is an Audio Plugin Host for the Web Browser. 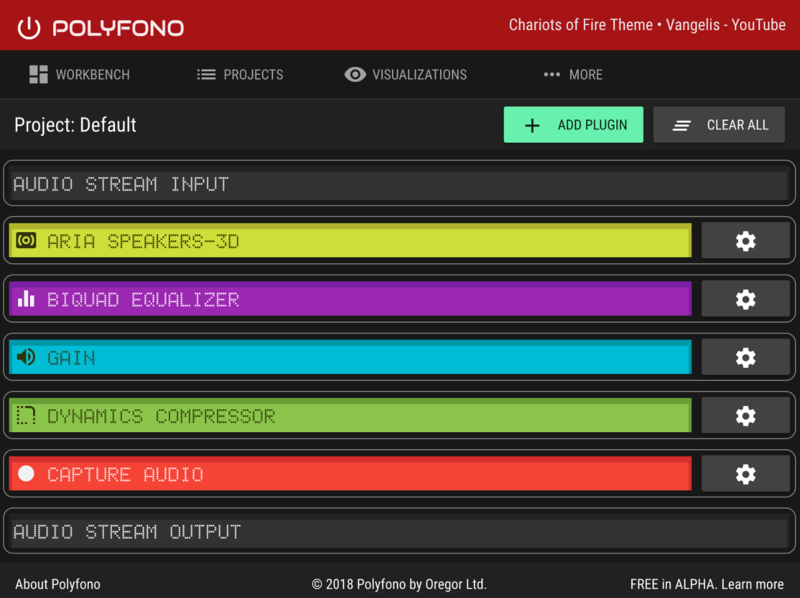 When you need to adjust the sound of your web browser like never before, elevate your sound experience, use simple or sophisticated audio plugins processors and effects such as EQ, dynamics compressor & virtual surround, leverage multiple instances per plugin, and take the control of your sound back, Polyfono is for you. ARIA-3D offers 3D Audio / Virtual Surround Sound in the web browser. 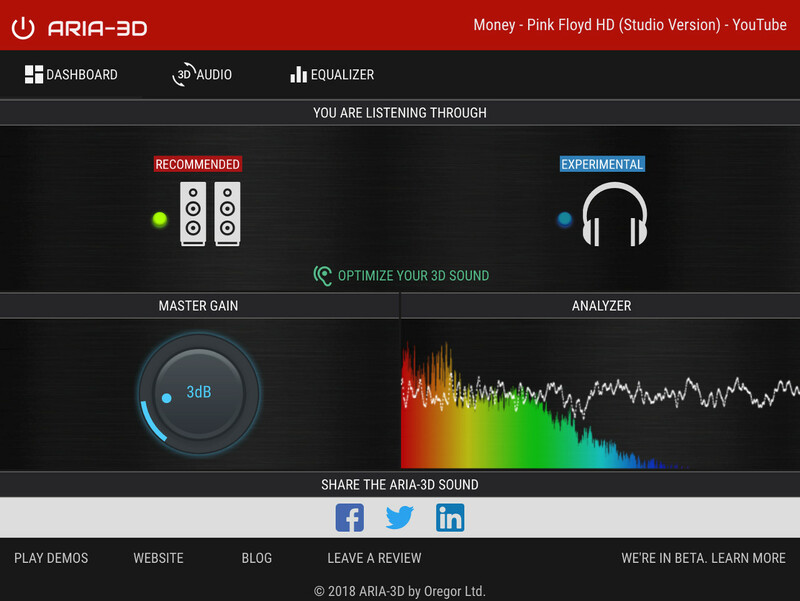 The ARIA-3D Chrome Extension transforms your regular stereo into immersive 3D Virtual Surround Sound, for your two speakers or headphones and it can process ANY Audio from ANY Website. An accurate multi-band Equalizer is also included.